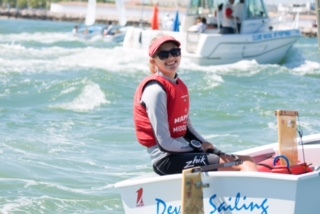 Congratulations to Victoria Schultheis – 2016 Optimist Girls World Champion sailing a Devoti Opti. A strong final series for Malta’s Victoria Schultheis resulted in her clinching bronze. This is the first time Malta has ever won an Optimist Worlds or Europeans medal. Richard Schultheis from Malta won 2015 P.E.M. Congratulations!